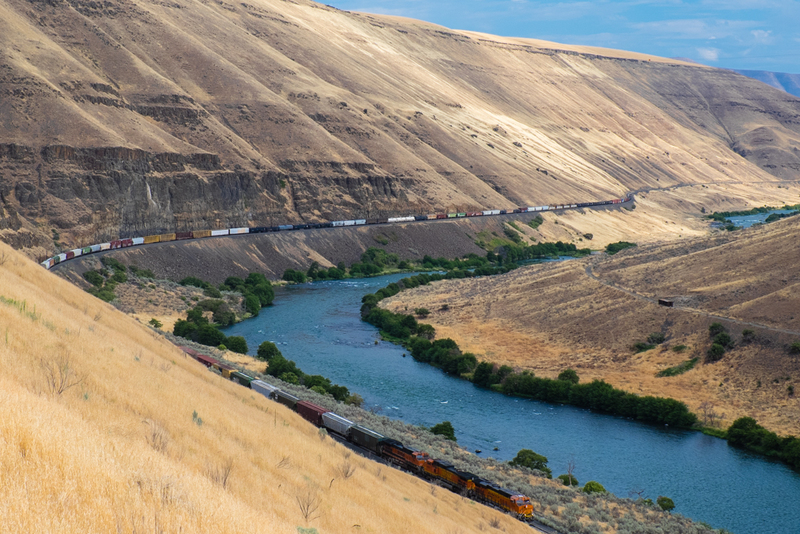 The lower Deschutes River is monitored and managed by a complex ménage of government agencies, the Confederated Tribes of Warm Springs, and of course Portland General Electric. So what does a group like the DRA have to add to the mix? Primarily this: we spend a lot of time in the lower river. Not on it, but in it. We wade it, we fish it, we float it, and we camp on it. And as anglers, we tend to pay attention. We also love it. It’s not just a river represented as numbers on spreadsheets indicating water quality results, flows, or biological inventories. Instead, it’s part of our souls. Not one of my fishing friends and partners would ever trade the memories and experiences they acquired on the lower Deschutes for anything. I personally grew up on the banks of the Deschutes. Having grown up in Bend, the river literally ran through my upbringing. My first kiss was on the banks of the Deschutes (seventh grade, the young lady and I snuck out of the Tower Theater, where our parents believed us to be, and we made out in Drake Park). 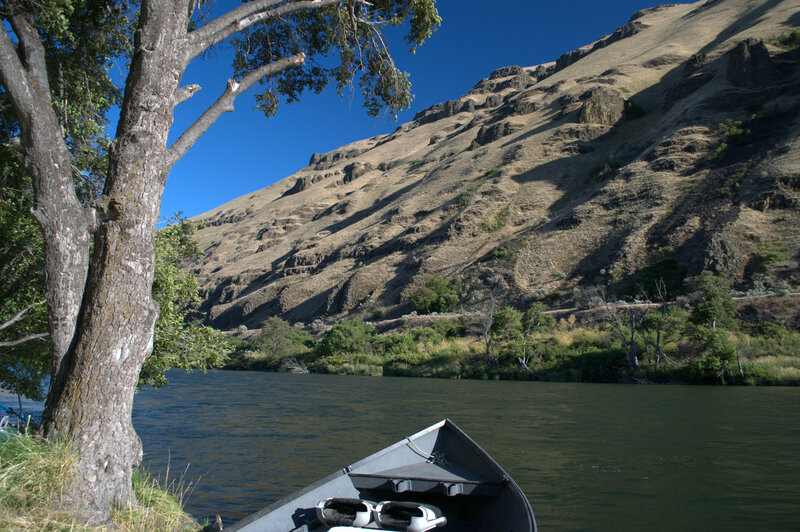 My first near-death experience was in the Deschutes at the age of 19. My first casts with a fly rod, were of course on the Deschutes (at the age of 12). First fish on a fly? Also on the Deschutes. Learning about the complex web of life in a river, of course that happened on the Deschutes. 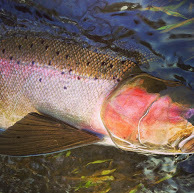 First steelhead, well where else? A group of friends and I did what I believe was the first paddle raft descent of lower Benham Falls in 1984. I don’t know of anyone having repeated that, in retrospect, foolhardy adventure. All I have to do is close my eyes and I can see that day as clearly as if it was yesterday. What an exciting day that was! It was a once in a lifetime experience to be sure. I have two friends who have died, and whose ashes were scattered in the lower Deschutes River. Mine will probably be scattered there too. Since I started fishing the lower river, I’ve lived in half of a dozen different cities or towns, and at least ten different houses, held multiple jobs, and had more than my share of girlfriends. That adds up to a lot of change. So in my life, the constant, the touchstone, has been the lower river canyon. When I launch from a boat ramp in my drift boat, there is always a sense of the canyon walls welcoming me back home. I feel more like myself there than anywhere else. No scientific study can quantify any of this. But we have to do science to protect our river. 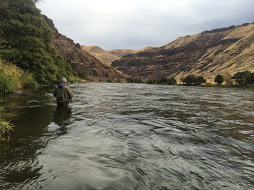 No one else has the exact same connection to the river we do. Especially not government agencies, although I have fishing friends at agencies who love the river as much as any of us do. But they are often handcuffed by a lack of agency will, bureaucratic barriers, lack of funding, or conflicting agendas. So it’s up to us to care for a river we love. And we have to do that through science and advocacy. So, why us? Why can’t agencies and others be blindly entrusted with protecting the river we love? Because they sometimes don’t care about it in quite the same way we do. Too many in responsible positions see the river as numbers on a spreadsheet. It’s a job. It’s projects and studies. It’s reports that always seem to need completion. It’s revenue. It’s regulations that need to be complied with or enforced. It’s megawatts of energy production. To me, and my friends, the Deschutes River is home. And its loss would be unbearable to us. 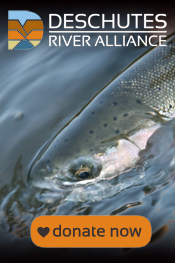 Thank you for your continued support for the Deschutes River Alliance.